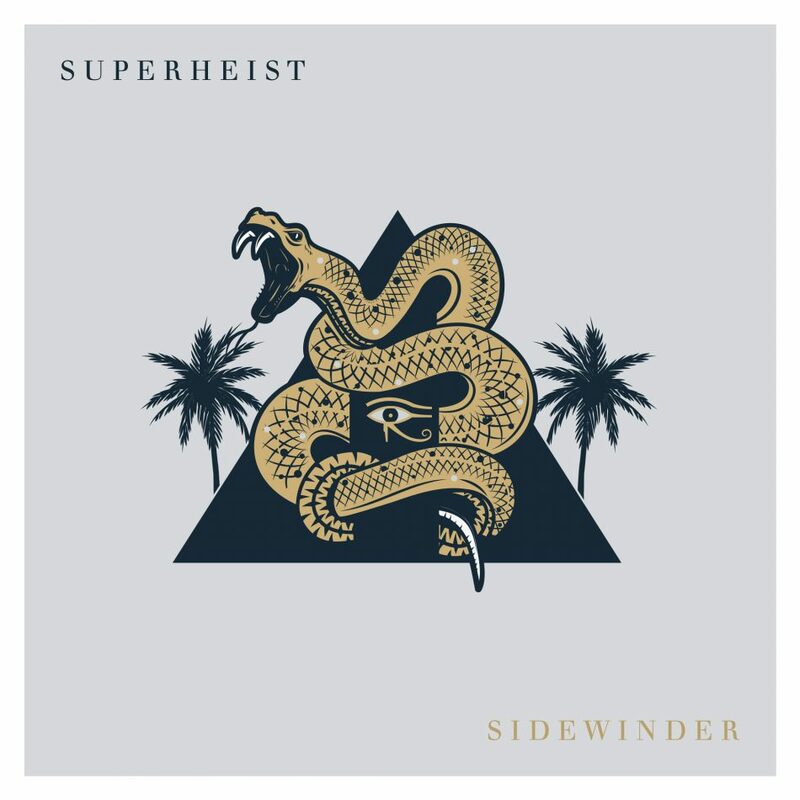 Superheist are set to drop their brand new album ‘Sidewinder’ in early May (3rd) with their first single “The Riot” out now! Produced and mixed by the band’s founding father dw Norton at Black Mountain Sound Studio, Sidewinder is a 9 songs offering bound to prove Superheist is once again a force to be reckoned with. John Sankey behind the kit, Superheist have found themselves a new world in which to turn everything up to 11… make that 12! First single The Riot showcases the massive riff power of Sidewinder. Track 3 Overlord epitomises the bands signature anthemic melody. Track 5 Breathe lulls the listener into and a false sense of security before exploding into the huge emotive choruses and epically heavy down tuned riffage. Track 7 …And So We Burn features guest vocals Dana Roskvist of the once mighty Sydonia! Ezekiel Ox takes a back seat adding backing vocals to Dana’s incredible lead vocal on this the departure track of the album. Album closer, Track 9 God Knows has lead vocalist Ezekiel Ox spitting vengeance over Cardinal George Pell as John Sankey pummels down Slayer like punk metal beats under face melting walls of guitar. Sidewinder is a defining moment for the second coming Superheist. Sidewinder will be released through Black Mountain Music, a new label venture developed by Heist members dw Norton & John Sankey.